Motorcycle accidents, as well as other forms of automobile accidents, have terrible effects ranging from psychological damage, severe physical injuries and damage to property, incurring unexpected expenses and even resulting in death in worst cases. In a situation where you do not lose your life, you might need to make a claim and the culprit has to make full payment for the damages done. 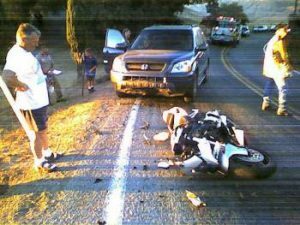 If you are in Rialto, CA and need to hire the services of an experienced motorcycle accident attorney, do not hesitate to consult our company, Rawa Law Group. We have spent more than 50 years assisting accident victims to make claims and gain a full settlement. Rawa Law Group is a trusted legal agency that has some of the most experienced accident lawyers who have dedicated their time towards advocacy for the unfortunately injured. At Rawa Law Group, we have a standby team of lawyers who are willing to have a one-on-one meeting with you whether at our office, at your home or hospital. With our flexible hours of appointments, you do not have to worry about your schedule. We are all about lending you the needed legal voice to sound above the odds and help win your case. Our trained accident attorneys also do well to offer you some ethical legal counsel and they are with no hidden charges. Even when you consult us at Rawa Law Group, you do not pay any charges or upfront costs until we have successfully won your case.